** Customer must supply leg band at least 4 weeks prior to scheduled delivery. Be advised that the combined weight of the PTT and leg band will exceed 25 grams. 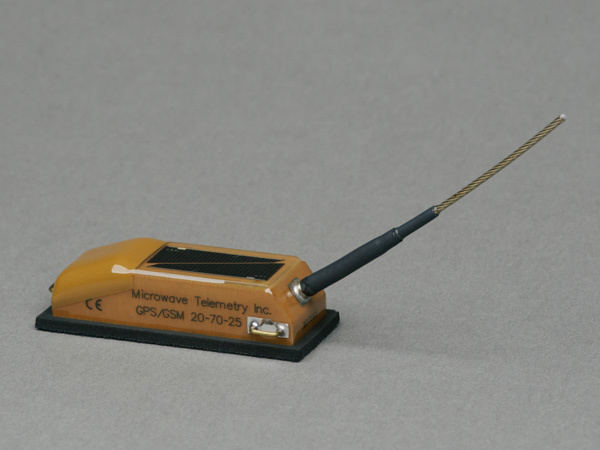 Our smallest GSM model, the GPS/GSM 20-70 25g Transmitter is lightweight and adaptable. It is comparable in size to our Solar Argos/GPS 22g PTT.